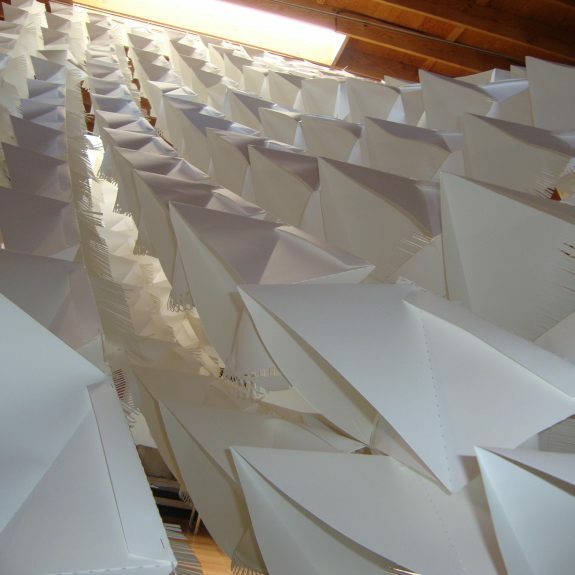 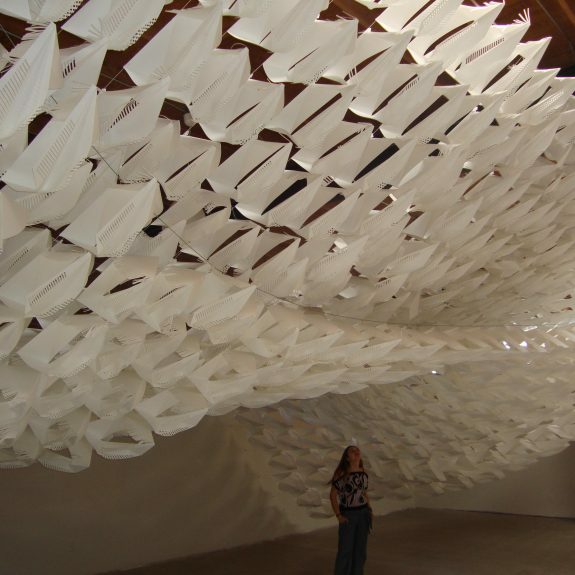 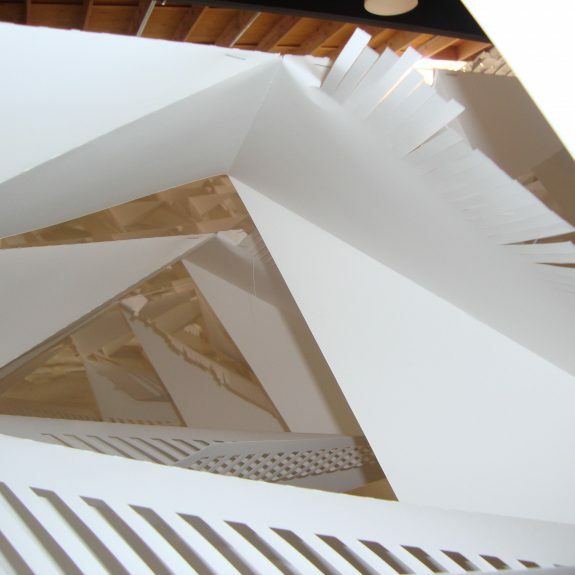 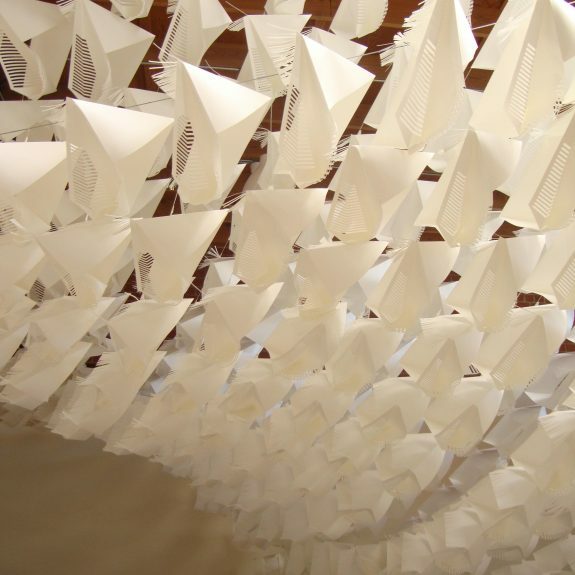 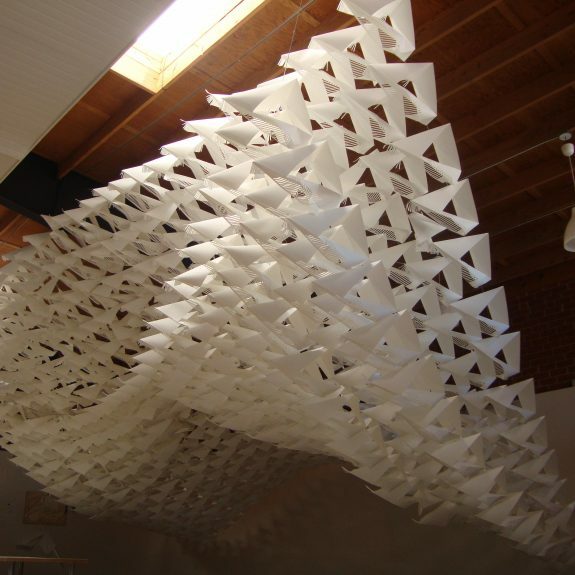 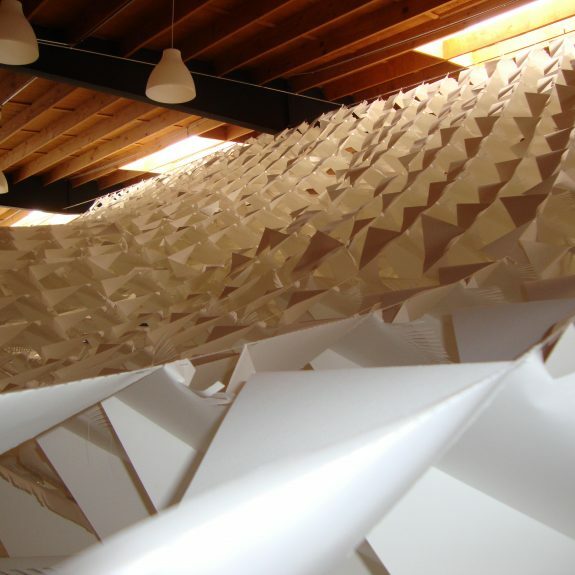 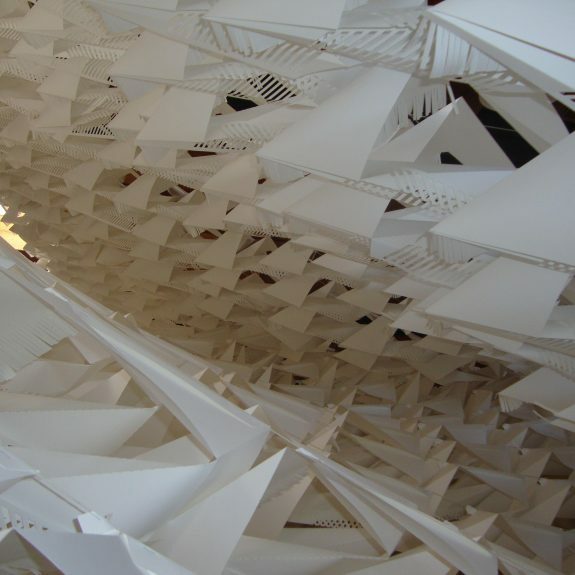 Multiple folded sheets of paper were transformed into a perforated surface that was subsequently suspended in the air. 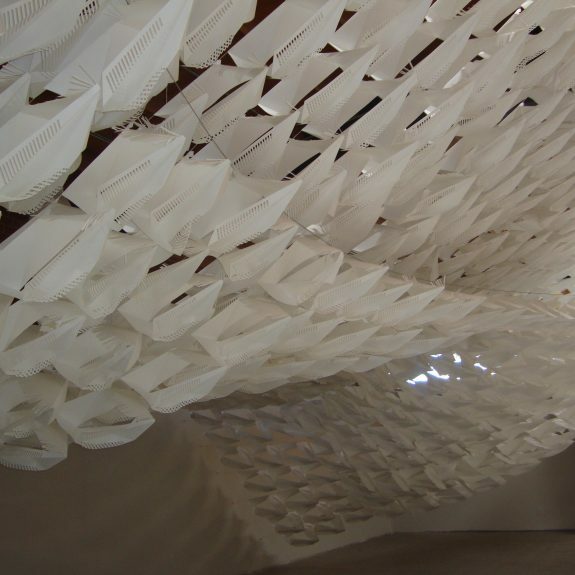 The unconventional surface flows throughout the gallery space creating an ethereal atmosphere that felt like an escape from reality. 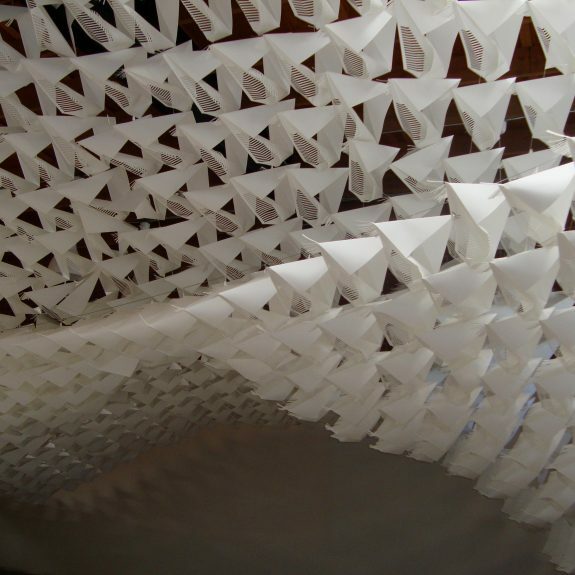 The technique used to produce the origami-like building unit is neatly displayed together with the list of the numerous volunteers who participated in the production. 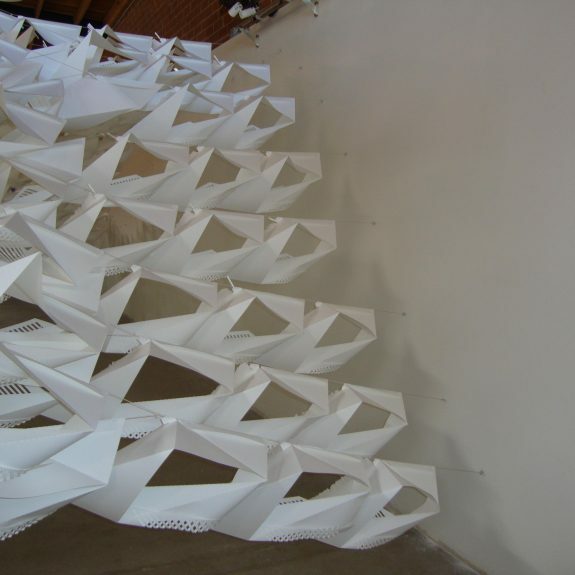 They had gone through series of material manipulations and experiments before developing the final shape of the components. 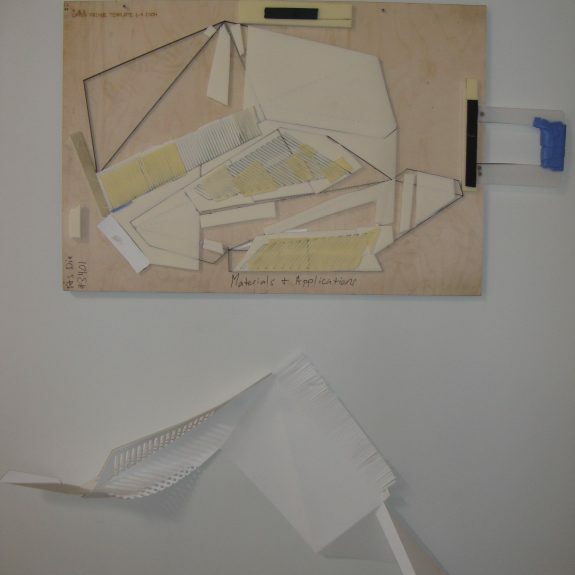 Each module was precisely cut through the use of die-cutters and, later on, the pieces were folded and assembled into the three dimensional volumes, ready to be incorporated into the agile plane of the Fat Fringe. 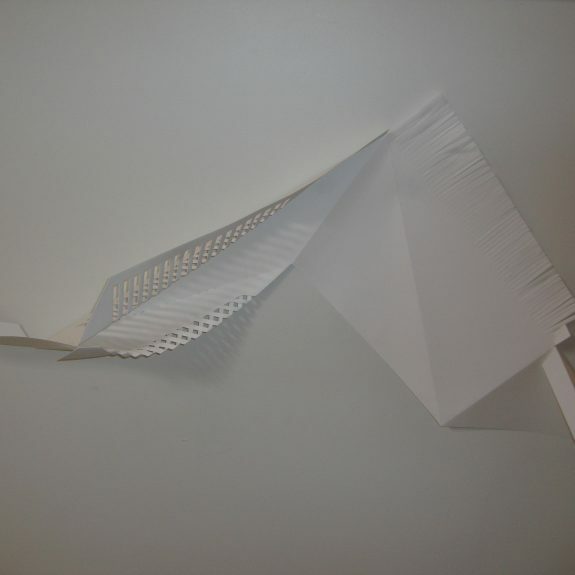 The exhibit is open and free to the public through April 8, 2010. A must-see.